Essentials oils and aromatherapy are extremely popular nowadays, and for good reason. Due to their healing and antioxidative properties, among others, they are prized ingredients in soaps and perfumes, skincare products and cosmetics, and food flavorings, but most especially in alternative medicines. One of the most popular and well-studied essential oils is tea tree oil. Extracted from the tea tree Melaleuca alternifolia, tea tree oil has immense medicinal benefits, chief of which is its antibacterial property due to its high concentrations of terpinen-4-ol. This is why tea tree oil is a popular treatment for skin ailments like psoriasis and fungal infections like athlete’s foot. There are also a lot of homemade personal care recipes that use tea tree oil, like hand sanitisers and DEET-free insect repellent. Here are even more reasons why you should keep a bottle of tea tree oil in your medicine cabinet. This is perhaps the most popular uses of tea tree oil. I don’t have acne but I always have a bottle of tea tree in the house for when I do get a spot, I literally just dab a tiny amount of it neat onto the spot and within 24 hours it has usually disappeared. Many skin care products like facial cleansers are infused with tea tree oil to take advantage of this benefit. You can even use a 5% solution of tea tree oil as a DIY topical spot treatment (just combine it with about 40 drops of witch hazel) for stubborn acne. Just be careful to not overuse it, as tea tree oil can dry out your skin. If you want to be sure of the correct dose or want to be more precise in application, get pimple patches from brands like Missha, these are infused with tea tree oil and other ingredients like salicylic acid that also help heal pimples. The patch form ensures that you don’t mistakenly apply the product on other areas of your face. Apart from being a natural antiseptic, tea tree oil has also been found to encourage wound healing by triggering the activity of white blood cells. The essential oil has also been proven to help reduce inflammation. Simply add a couple of drops of tea tree oil to the dressing, until the wound heals completely. Whether it is caused by insect bites or contact dermatitis, research suggests that using tea tree oil topically may help relieve skin inflammation as well as other symptoms like redness and itchiness. Adding a couple of drops of tea tree oil in your shampoo may help improve your scalp health and treat dandruff. In a study published in the Journal of the American Academy of Dermatology, the group that used a shampoo mixed with 5% tea tree oil experienced reduced dandruff severity in terms of scaliness, itchiness, and greasiness. Moreover, there were no adverse effects like allergic reactions or even dryness of the hair and scalp. One of the most common targets of fungal infections are the nails. They may not be necessarily dangerous, but they can be unsightly and can compromise the strength of the nails. You may apply either a few drops of undiluted tea tree oil to the affected nails or mix it with coconut oil to also moisturize the area. Use a medicine dropper or even a piece of cotton to apply and spread the tea tree oil; if you use your hands directly, remember to wash immediately after to avoid spreading the fungus. Apart from its effectiveness against Streptococcus mutans, the primary bacteria that causes dental plaque, tea tree oil was also found to have a less off-putting taste than chlorhexidine, a common germicidal mouthwash. To use tea tree oil as an oral rinse, just add a couple of drops of tea tree oil to a glass of warm water, mix thoroughly, and swish in your mouth much like a regular mouthwash. Similarly, you also shouldn’t swallow tea tree oil as it can be toxic if ingested. A safety reminder: before using tea tree oil for the first time, apply a drop on a small patch of skin and wait 24 to 48 hours to check if any adverse reaction occurs. If you experience any irritation, you may want to mix it in equal or greater amounts of other oils like coconut, jojoba, or even almond or olive oil. If you have any concerns or questions, always check with your doctor or local pharmacist. 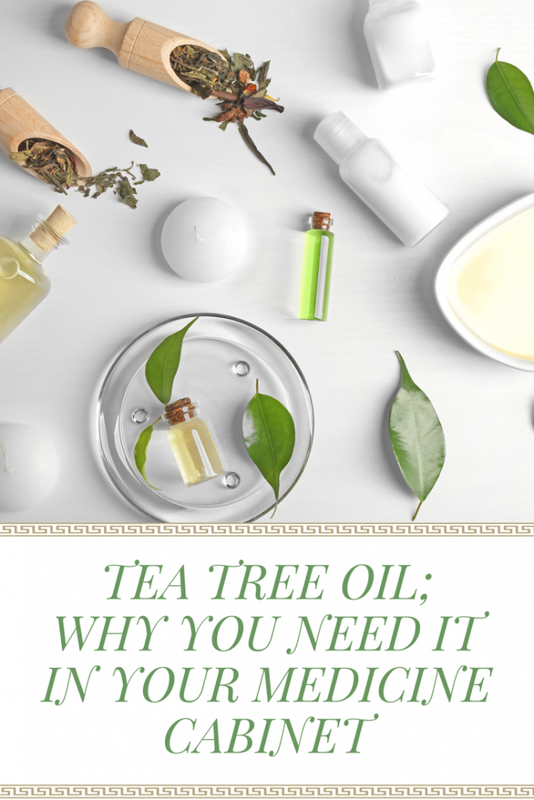 This is such a useful post, I actually came across some tea tree oil in the cupboard the other day and wondered what I could use it for other than the normal popping it in a burner and no I know! l love aromatherapy oils and people have such great things to say about Tea Tree but sadly I’m allergic. Almond Oil, however, is my miracle worker! I have always loved using tea tree oil. I used to use it when I was a teenager suffering from acne, it used to help clear my face quite quickly. Glad to know its other uses. I am new to aromatherapy and I have never tried it for the health benefits. It was interesting to see how many great benefits the tea tree oil has and how useful it is to have it in the house.